Over the years, Greg Pak has strung together one Kickstarter success after another, from comics stories Code Monkey Save World and Princess Who Saved Herself to the fun children’s book, ABC Disgusting. Today, the outgoing Action Comics scribe has launched a new campaign on the crowdfunding site. But this time, Pak’s not looking to fund a story; no, he wants to make a book about how you can find your way to Kickstarter success. And for the contents, he’s pulling from all the things he learned doing his own campaigns. Kickstarter Secrets, as Pak’s book is called, has all the goodies, commenting on what you should do, from obvious matters to often-overlooked details, and what things you shouldn’t to do avoid shooting yourself in the foot. This is one book that’s just packed – no pun intended – with lots of tried and tested examples. You’ve done a number of very successful Kickstarters over the past couple of years. Why this project? GREG PAK: I’m a big believer in independent artists sharing information. There’s no way I could have made it where I am if dozens of more experienced folks hadn’t shared very detailed information and advice along the way. Years ago I ran a website called FilmHelp, where I posted tons of no-budget filmmaking tips. More recently, Fred Van Lente and I co-wrote Make Comics Like The Pros, a how-to book for comics creators. 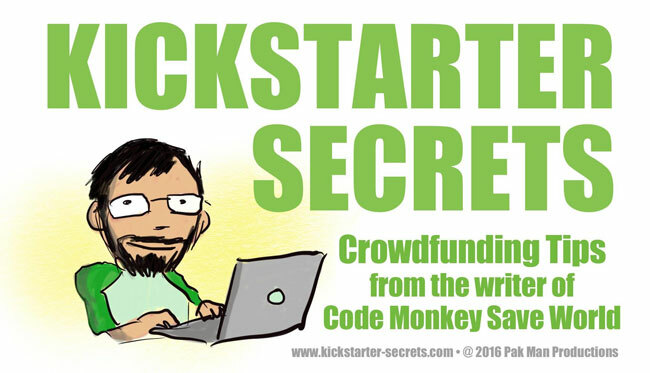 Kickstarter Secrets just felt like the right project for now, particularly since I’ve gotten so many questions about crowdfunding after running the Code Monkey Save World, Princess Who Saved Herself, and ABC Disgusting Kickstarters. I think another part of it is that it’s a way for me to make positive use of the mistakes I’ve made over the years. Whenever I goof something up, it’s kind of a comforting thought to think, “Well, this could be a story that might help some other poor fool avoid trouble some day.” So Kickstarter Secrets will absolutely include all my mistakes, which I hope will be enormously helpful. What was it like getting your first Kickstarter campaign success in the books? How much of a stressful time was it? My first Kickstarter was the Code Monkey Save World graphic novel, based on the songs of internet superstar musician Jonathan Coulton. That thing went through the roof, eventually becoming Kickstarter’s most funded original graphic novel ever. So it was an insane thrill. And sure, it was also pretty exhausting and stressful – but in a good way! I spent hours every night working on spreadsheets and analyzing our numbers to make sure we weren’t making a terrible mistake somewhere and dooming ourselves to ruin with the various additional rewards and stretch goals we were adding. These were excellent problems to have, of course! What were some of the things you learned along the way that you applied on future campaigns? 1. Check and re-check your shipping costs, particularly if you’re adding new rewards or stretch goals in the middle of your campaign. Actually package the items you’re promising to ship, weigh them, and calculate the postage costs. I thought I’d covered all of this when we added new rewards for Code Monkey Save World, but I goofed up the shipping costs for mugs, somehow missing the fact that a square mug box would be more expensive to package and ship than a flat T-shirt, for example. Also, rigid items are more expensive to mail than bendable items. And postage rates tend to go up in January. Lots of little details here! Get the book for more! 2. Don’t be shy about mentioning your project multiple times on a given day on social media. People check in at different times of the day – if you only mention it once in the morning, people who only check in the evening might never hear about it. You never want to spam people you don’t know with messages about your project. But folks who have chosen to follow you want to hear what you’re up to – don’t be shy about letting them know. Of course, you can find ways to make those tweets more fun and even helpful or informative rather than just purely self-promotional. We’ll dive into different ways of doing that in the book. 3. Budget everything in terms of time as well as money. When we added extra pages to Code Monkey Save World as a stretch goal, I calculated the extra cost in dollars, but forgot to analyze how much extra time it would take the whole team to produce those pages. That was one of the reasons we ultimately shipped the books two months later than we originally planned. 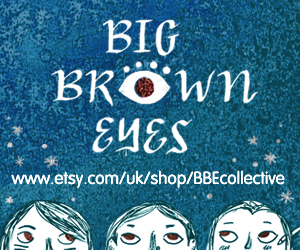 Speaking of which, if things don’t go as planned and for whatever reason you’re running late on delivering the final product, post updates to explain the situation to your backers – with thanks and apologies. Communication is key. Just think about getting delayed at the airport – people get angriest when the airline provides no information about why the plane’s delayed and how much longer it will be. Your backers are rooting for you; if you share what’s going on, most folks will understand and keep rooting for you. Is every campaign a beast unto itself? Did you find out that certain things work for one campaign, but may not for the next? I’ve applied the same basic strategies to my different campaigns, but every campaign has its own special challenges. With Code Monkey Save World, we hit our goal in the first few hours. It was insane. The big challenges were figuring out how to scale up and manage the additional stretch goals and rewards we added without making some terrible mistake. With ABC Disgusting, a children’s book I made with artist Takeshi Miyazawa (and just delivered to backers in December), we took longer to hit our goal, so I spent more time working on finding ways to continue creating new interest in the project as the campaign went along. We ended up spending a lot of time getting a substantial preview of the book together and sharing more art with backers as the campaign went on. 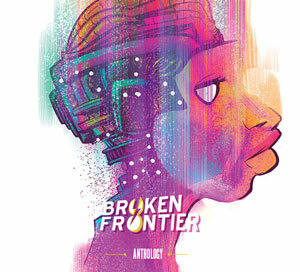 One bonus was that we actually had a third of the book completed by the time the Kickstarter ended. Different projects also inspire different kinds of promotional activities. Code Monkey Save World was based on Jonathan’s songs, so it made perfect sense for Jonathan and I to do a couple of live events in New York City, which really helped build excitement. ABC Disgusting is a book about disgusting things, so as a goofy promotion, I promised to video myself eating ketchup on a banana as a stretch goal. Artist Takeshi Miyazawa, colorist Jessica Kholinne, and our theme song writer/performer Jane Lui joined the challenge, which was AMAZING. And DISGUSTING. So there can be a lot of fun in coming up with strategies that make sense for specific projects. So, after all those hits, is there a secret code or MO to hack Kickstarter? 1. Pick a project that makes sense given your networks, creative and logistical abilities, and time. 2. Prepare a campaign that represents the project clearly and provides smart rewards that people will want and that you can afford. 3. Budget everything thoroughly, every step of the way, for both money and time. 4. Reach out to all your networks and contacts and communities you think might be interested without spamming. The demon, of course, is in the details: the concrete, practical steps necessary to carry out each of those broad principles. And that’s what Kickstarter Secrets will be chock full of! Check out Greg Pak’s campaign at kickstarter-secrets.com and pledge if you want to find out how to make your own project hit its goal. She Makes Comics: Sequart Kickstarter Highlighting the All-Too Hidden Role of Women in Comics Needs You!